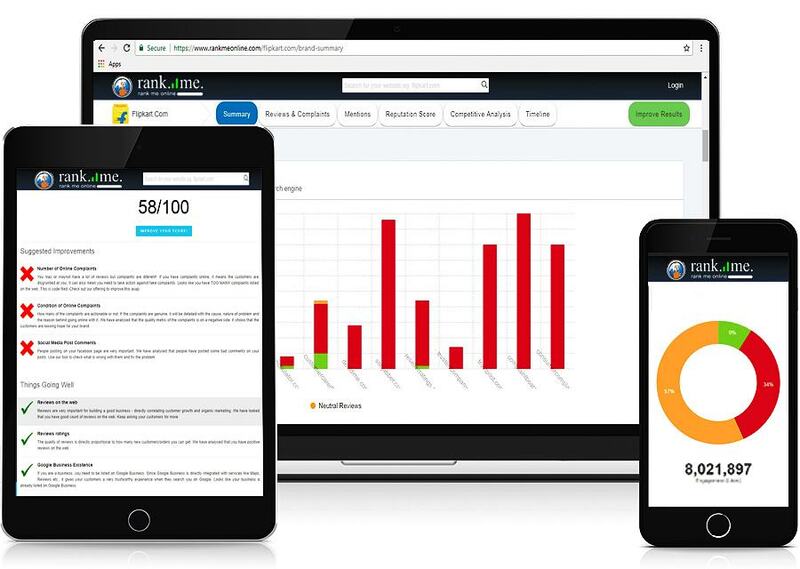 Rank me online is a team of motivated people from diverse backgrounds aligned to help all kinds of businesses grow in digital space. We see customer’s perception and preferences and according to it we give reputation score to the brands to help the businesses, target this metric in an easier and a focused way. Our product monitors more than 100 platforms to extract and analyse real time opinion data of your customers from various social media platforms and other review sites. Our customised AI algorithm analysis qualitative reviews to help you understand the digital perception of your brand and help you make further strategic decisions. 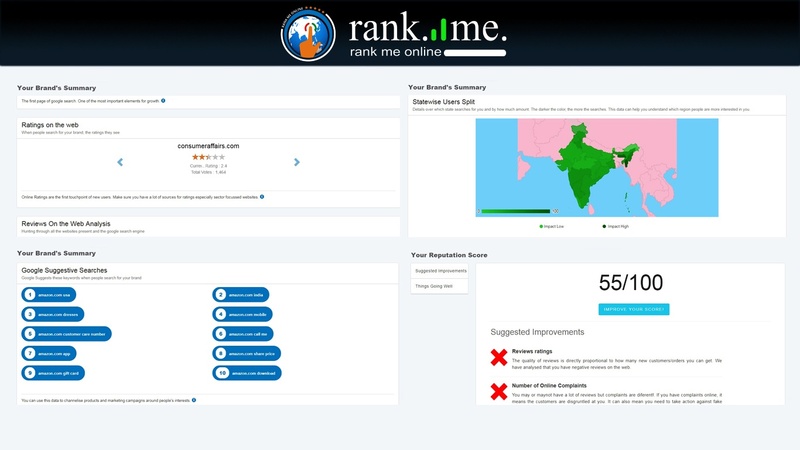 Rank me online provides overall image of your brand across geographies which gives you a superior comprehension of where and how your brand can perform better. We provide comparison of your business with your competitors and industry’s best performers. Come up and implement the best practices and stay ahead of your competitors. Get your Reputation Report for Free ! The product is composition of all the elements that make the advanced view of brand. We get the data from all the sources or channels that influence the brand and it’s visibility, be it facebook, google searches, surveys and complaints present anywhere on the web. We run our own Curated Algorithms on the data, deep learn the information available and present the learned data to the business. 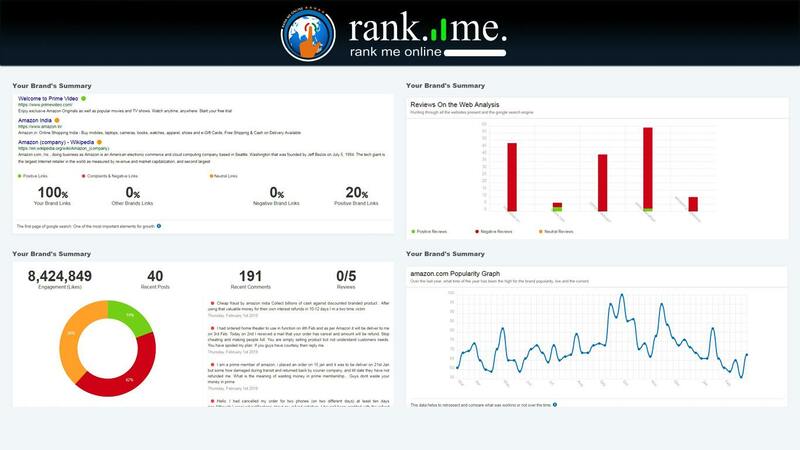 Rank me online is the solution targeted for all the brands which play primarily in Indian markets. Our Product is Curated to take care of Indian businesses and personalities.